UC Davis researchers have unearthed a long-lost chapter in U.S. history: a nationwide “war” on Chinese restaurants, which were considered such a menace that they were boycotted by unions, denied business licenses by cities across the country, and subjected to police harassment and other tactics intended to drive them out of business. 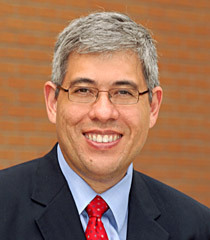 Lasting approximately 30 years, the campaign’s purpose was to protect society—and white women in particular—from the moral temptations allegedly on offer at the restaurants and to shield white workers from Chinese competition, according to “The War against Chinese Restaurants,” a new study by UC Davis law professor Gabriel “Jack” Chin and research assistant John Ormonde, a 2015 graduate of UC Davis School of Law. Their paper is forthcoming in the Duke Law Journal. Though national in scope, the “war” was previously unknown to scholars, said Chin, the Edward L. Barrett Chair of Law and Martin Luther King, Jr. Professor of Law at UC Davis School of Law. “It was very surprising to discover that this was such a widespread phenomenon, yet one that even scholars specializing in Asian American history didn’t know about,” Chin said. From about 1890-1920, Chinese restaurants were vigorously opposed by all-white labor unions. The effort to eliminate them was creative: Chicago used anti-Chinese zoning; Los Angeles restricted restaurant jobs to citizens; Boston authorities decreed Chinese restaurants would be denied licenses; unions in cities including San Francisco, Minneapolis-St.Paul, and Cleveland boycotted Chinese restaurants and barred members from working with Chinese people; and the New York Police Department simply ordered whites out of Chinatown. Perhaps the most interesting technique was a law, endorsed by the American Federation of Labor for adoption in all jurisdictions, prohibiting white women from working in Asian restaurants. Such actions often were justified as necessary for the protection of white women, who were said to be subject to sexual exploitation by Chinese men. The restaurants were also accused of being havens for opium use and other vices. The research article was released to media on June 12 in advance of its forthcoming publication in the Duke Law Journal, and drew coverage from National Public Radio, the CATO Institute’s Regulation magazine, and Colorlines, among others. Research into this unknown “war” was made possible by access to massive digital databases that enabled Chin and Ormonde to mine previously inaccessible archives of newspapers, city council proceedings, outdated state codes, and other resources. Uncovering this long-forgotten chapter of American history can help inform our present debates regarding race, immigration, and other issues that divide the nation today, Chin said. Chin’s work has often addressed forgotten corners of civil rights history. He has worked with students to repeal anti-Asian alien land laws that were still on the books in Kansas, New Mexico and Wyoming, and to achieve posthumous bar admission for Hong Yen Chang, a Chinese lawyer who was denied admission to the California bar in 1890 because of his race.